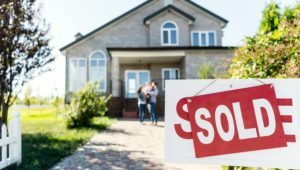 Beck Insurance is a longstanding company that serves clients in the Toledo, Ohio area that need homeowners insurance and other types of coverage. We take our responsibility to the communities we serve very seriously, and we are quite gratified by that consistent positive feedback that we receive. When you choose our agency, you will receive an uncommon level of service from start to finish. If you still owe money on your home, your mortgage company is going to have certain requirements with regard to your homeowners insurance. This is a fact of life, and you have to comply with it. At the same time, you should understand all of your own personal exposure, because you may want to carry additional coverage to protect yourself. 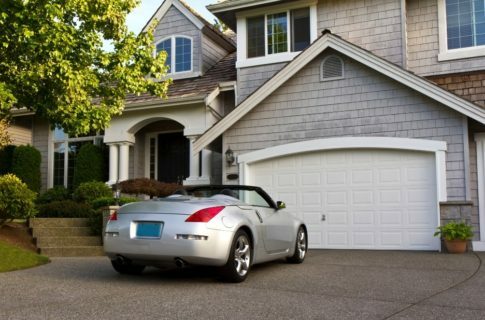 When you are obtaining your homeowners insurance, there are decisions that must be made. Deductible levels will vary, and it can be hard to understand how to proceed. We place an emphasis on communication, so you can rest assured that we will answer all of your questions so that you can make the right choices. A lot of people are not aware of the fact that a standard homeowners insurance policy does not cover flood damage. You can, however, add separate flood insurance, and this is another type of coverage that we offer to our clients. In addition to homes that are occupied, we can obtain coverage for residential property that is under construction. Many people lease their places of residence in this area, and a significant percentage of them embrace a popular misconception. They assume that landlords’ homeowners insurance policies will cover property that is owned by the tenants. In fact, this is not the case at all. Because of this dynamic, renters insurance is a must. The renters insurance that you can obtain through our agency will protect your belongings, but that’s not all. If someone is injured on the property that you are renting, you would have a certain level of liability protection. As you can see, we can connect you with home insurance or renters insurance, and you will probably be pleasantly surprise when you receive a quote from us. To set the wheels in motion, send us a message through our contact page or give us a call at 419-446-2777 or 877-446-2325. Many don’t realize that Beck Insurance Agency writes quite a bit of home and auto insurance in the Anthony Wayne area. Agency co-owner, Joe Beck, has lived in Whitehouse since 2008 and is in town daily. With the housing boom in Whitehouse, Waterville, and Monclova going strong – our markets are well positioned to handle your needs. Whether it’s an existing home, a new purchase, or new construction. Please contact Beck Insurance today for a full home and auto insurance review, and either Joe or Kylie Schultz will be in contact soon. You can either click here, email us at info@beckinsurance.com, or call 419-446-2777. Thank you, have a great day! Beck Insurance is an auto insurance resource serving Bryan, Defiance, Delta, Montpelier, Napoleon, and Sylvania, OH. We are a family owned and operated business that was originally established in 1948, and we are now on our third generation of family member involvement. It has been gratifying to build relationships with clients over all these years, and we put our personal stamp on everything that we do. In this post, we will look at four reasons why you would do well to obtain your auto insurance from our agency. Every state has its own specific requirements when it comes to auto insurance. Since we have been located in Ohio for so long, we have a thorough understanding of the DMV regulations. When you work with our agency, you can rest assured that your coverage will comply with all applicable laws. We know that people make mistakes, and this applies to driving a motor vehicle. Our agency can obtain coverage for every licensed driver, even if you have made errors in the past. Too many drivers view auto insurance as a nuisance, and they just want to obtain the minimum protection that is required. You can go this route, but when you understand the facts, you will see why you are taking a big risk if you eschew more comprehensive coverage. We do not try to sell our clients on anything, but we do explain the risks that you take when you carry bare bones coverage. At the end of the day, you will make your own decisions, but they will be fully informed ones. Some insurance agencies can only obtain auto insurance from a single company. They are called “captive” agencies, so they offer limited insurance products, and you get just one quote. Things are entirely different when you choose Beck Insurance. We have relationships with a number of different highly rated insurers, so we can provide you with multiple options. You can choose the best offer and go forward with the knowledge that you got a great deal on your auto insurance. If you would like to discuss your auto insurance needs with one of our knowledgeable agents, we can be reached by phone at 419-446-2777, and our toll free number is 877-446-2325. We also have a contact form on this website that you can use to send us a message. On St Patrick’s Day at Shawns Irish Tavern in Waterville we were treated to a performance by Black Swamp Pipes and Drums. They are a local non profit band that plays primarily to honor our local fallen first responders. They were excellent, and what a great cause! Posted in Blog | Comments Off on Not insurance related, but…. Max & Kassie discuss the importance of having life insurance from the world headquarters of Beck Insurance Agency in Archbold, Ohio. Hi! I’m Kassie, and I’m Max….coming to you from Beck Insurance in Archbold. Parents, we want to remind you of the importance and low cost of life insurance. Do you have kids? A mortgage? Loans? A spouse? Kids?? Only 62% of people have life insurance. And over half of those have way too little. Even worse, one out of three households admit they would suffer financial disaster within a month of the main breadwinner passing. And it’s not as expensive as you think. 80% of people think life insurance is more expensive than it really is. But it’s like less than a java chip frappechino a day….more like a couple of pop tarts! So what’s your excuse? Mom? Dad? Contact Beck Insurance today for your painless life insurance review! Call 419-446-2777, click here, or stop by Beck Insurance Agency in Archbold, Ohio. According to Acuity’s internal data, fire is one of the most common claims for auto repair shops. Unfortunately, fire also causes some of the most expensive claims. Protecting your shop against fire is a great place to start when looking to reduce the likelihood of a major claim in your shop. To bring you some fire safety tips, I collaborated with Scott Leistner, one of Acuity’s loss control representatives. Scott has more than 20 years of experience in assisting automotive repair, manufacturing, and supply businesses with loss control. He works with these businesses to develop risk improvement solutions, including those aimed at fortifying fire protection practices. 1.A clean shop is a safe shop. Maintain a high level of housekeeping at all times, removing trash and waste daily and cleaning up oil spills immediately using absorbent materials. Discard all oily rags in metal storage containers with self-closing lids to reduce the likelihood of spontaneous combustion. 2.Store wisely. Effective storage practices help prevent fires. Store flammable and combustible liquids in approved flammable liquid storage cabinets and keep all combustibles away from heating sources like furnaces and hot water heaters. Store tires separately, away from all flammables and potential ignition sources. 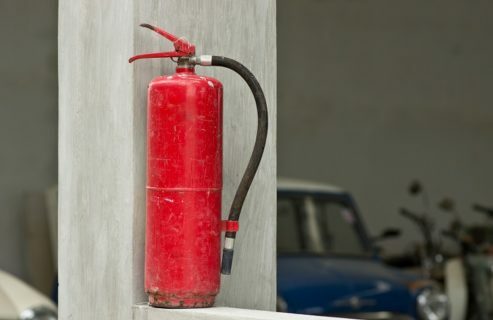 Finally, do not allow temporary storage to block access to fire extinguishers and other fire prevention equipment. 3.Practice proper use of electrical equipment. Ensure all electrical equipment and tools are properly grounded and immediately discontinue use of and remove any damaged electrical equipment. Inspect and maintain battery charging equipment and keep combustibles far away from it. Only use extension cords if needed and make sure they are in good condition. Avoid using portable electric space heaters. 4.Guard against fire from special hazard shop exposures. Always spray paint in an approved spray booth equipped with automatic fire-suppression equipment. Implement effective hot work procedures to prevent sparks from igniting combustibles during cutting and welding work. Inspect hydraulic lifts for leaks and repair immediately if a leak is present. Keep solvent tanks clean and maintained and make sure the lid closes securely. 5.Develop and implement formal policies and programs for fire prevention. Train staff in proper use of fire extinguishers and enforce a no-smoking policy. Conduct weekly self-inspections, correcting any hazards found in inspection, and practice daily housekeeping and clean-up duties. Schedule regular preventive maintenance of HVAC and fire-protection systems. At Acuity, we offer expert loss control services to our business policyholders at no extra charge. Our loss control representatives are safety and insurance professionals who have college degrees, technical certifications, and an average of 25 years of experience in the field. These representatives partner with our customers to minimize risk of future losses by assisting with safety and loss prevention initiatives. Frozen Pipe Tip Video from Celina Insurance Group on Vimeo. This is a relatively new concept in the market and something you may be interested in. 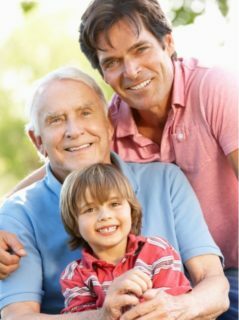 With hybrid Life Insurance/Long Term Care coverage, you can address two very important needs at one time: Life Insurance needs which provide for things like funeral expenses, paying off debt, and estate creation for family, buyout agreements, estate equalization, and Long-Term Care needs that may arise later in life. Here’s how the coverage works: Secure a hybrid whole life policy then add a Long-Term Care rider with a monthly benefit at 2%-5% of the total death benefit amount, subject to the life insurance limit or $350,000, whichever is less. This is an incredible product that creates an opportunity to secure and lock in long-term care coverage as well as the rate; depending on the premium payment structure. It also provides much greater returns in that should you pass away without requiring monthly care, your heirs receive the death benefit tax free. Should you decide later that you no longer need the protection, you can cancel the policy and take back your cash value – which after 5-6 years is generally higher than the amount of premiums paid. And of course, if you were to need long-term care you would have coverage when the time came. If this is something that is of interest and you would like more information, please call (or click) Beck Insurance Agency at 419-446-2777 and we can review your needs and possible solutions. 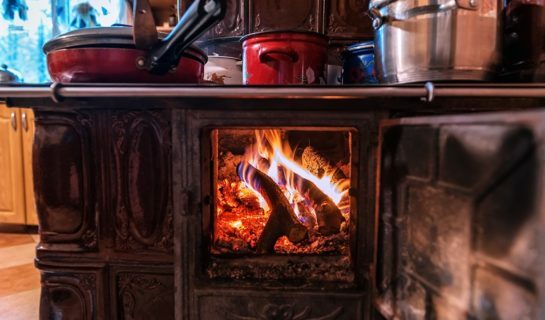 Having a wood-burning stove as a source of supplemental heat during the colder months can result in significant cost savings on your electric bill, but did you know it can cause an increase in premium on your homeowners insurance? •Even if you have a new wood-burning stove, the act of burning wood as a source of heat creates the possibility of sparking or spitting of hot embers. Taken in combination with combustible materials around your wood-burning stove, there is an increased risk. •If you are considering having a wood-burning stove installed, be sure it is UL approved and professionally installed. Not only will this help ensure the safety of your home and family, but many insurers will not provide insurance unless certain safety standards or clearances are met. Most insurance carriers will want to do an additional inspection on the unit itself as well. •Notify your insurance company of the presence of such a stove in your home to ensure you have proper coverage on your home and belongings. •Have the chimney and stove cleaned and inspected annually before you begin using it for the season. •Look over your unit and chimney regularly for potential cracks. This will help you catch something small before it becomes an issue. •Follow all clearance requirements in the home. This rule applies to people and pets as well as furniture and other combustible materials. This will help prevent burn injuries as well as limit the risk of a fire starting outside the unit. •Only burn dry wood. Burning wood can cause deposits known as creosote to build up. If not properly maintained, these deposits can ignite and cause chimney fires. Having a wood-burning stove doesn’t have to be scary. Make sure you fully understand the risks and responsibilities associated with having one in your home. Also, be sure to talk with your insurance agent or carrier if there are ever any changes in your home that could impact your insurance. Stay warm out there! Content courtesy of Acuity Insurance / Addie B.